Sandy Hill Elementary school’s community is very lucky to have both Karli DeHaan and Michelle Tanguay serving in the school office. Their welcoming efficiency puts students and visitors to the office at immediate ease, as they work to solve problems and answer questions. Their unflappable ability to juggle first aid needs, teacher requests, drop in visitors, assorted tantrums, and the steady ring of the telephone is amazing to behold! Karli and Michelle’s genuine care and concern for the school community is clearly evident in their day to day interactions with staff, students, and parents. By taking the time to get to know students (and their parents) by name and by their various interests, Karli and Michelle are able to reinforce our students’ sense of belonging here at the school. Students know they matter and know that they will be cared for and helped each time the come to the office. 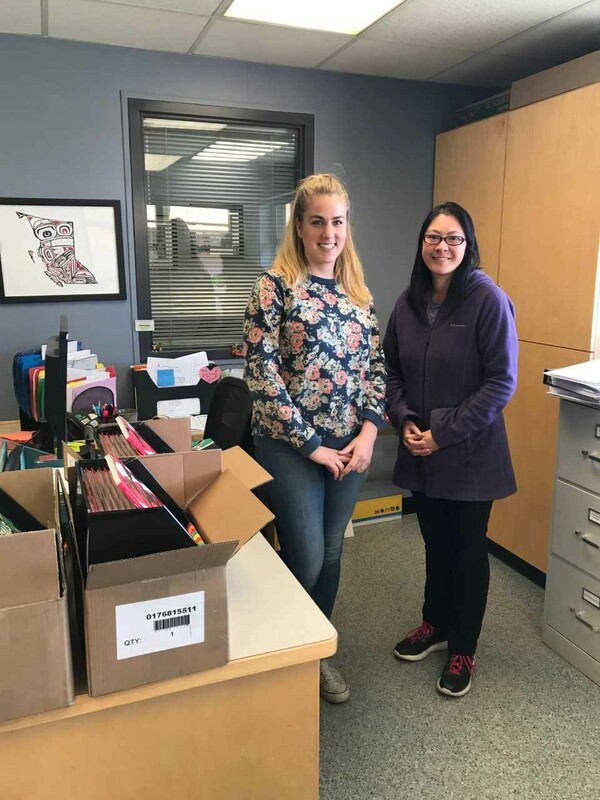 Staff too appreciate the calm efficiency demonstrated by Karli and Michelle as they assist us with the pleas for assistance in ordering supplies, making last minute arrangements, and solving a myriad of concerns we bring their way. We appreciate them, their heart and their wonderful sense of humor and want them to know they truly make a wonderful difference in the lives and learning of the whole Sandy Hill Community!